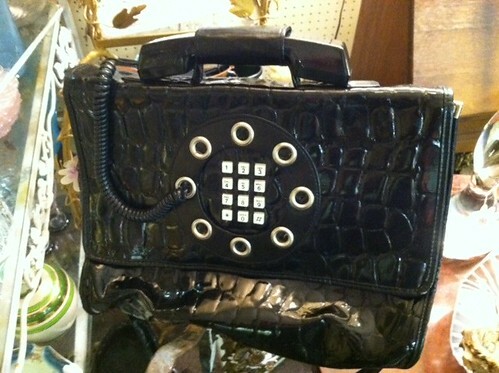 This incredible purse is a working telephone. Huge thank you to my friend Chris Bennett from Callyo for finding it and purchasing it on my behalf in St.Pete. This will be a conversation piece for the rest of my life! I’m also already thinking of how to mod it with a SIM card and Arduino so that it can be completely wireless and working.